My daughter is a tough cookie. She works in a male dominated field after attending a male dominated college. Her parents are both strong personalities (no! really?). She breeds and shows big dogs and has had to fight back unethical breeders and customers who tried to destroy her reputation. She’s works hard for her accomplishments and the life she has. But when we were at the farmer’s market a few weeks ago, I swung up my camera to take pictures and she said, “MOM WHAT ARE YOU DOING”, I have to admit, I did shrink back just a bit. And this picture says it all – can you hear the exasperation in her voice? All that’s missing are the hands on the hips and tapping her foot. The rest of my pictures were strictly of the vegetables. Word for tomorrow – SUPER. If you prefer to work ahead, see the list for the week under “A Word A Day”. Some of us just detest having a camera pointed our direction. BUSTED!! 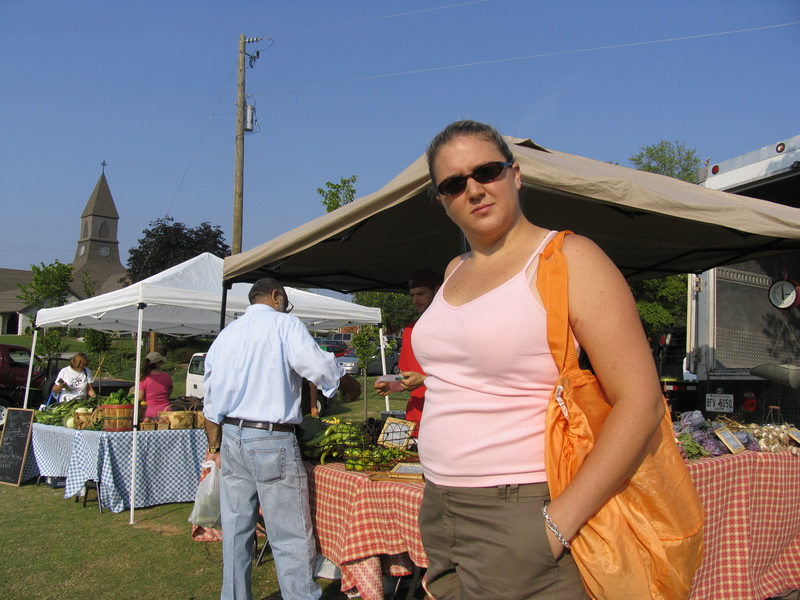 However, I did not take any more pictures of you at the farmer’s market. I just did it later in the day ha ha. I’m happy you’re reading these. That’s great. If you ever need an ‘attitude’ pic, now you have it! Camera shy. I can relate. I'm laughing as I read this!��Great comment – thanks as always!